a new generation of leaders. 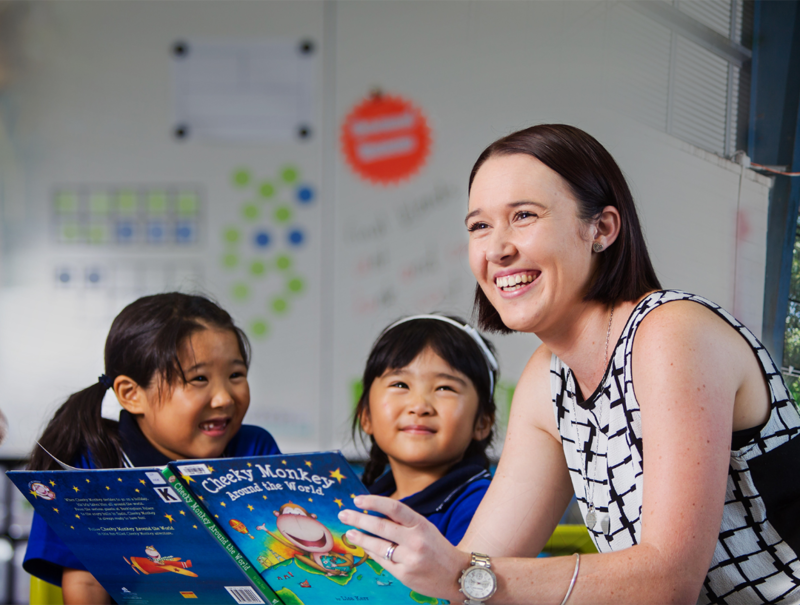 These five key characteristics, along with five leadership capabilities – knowledge, understanding, attitudes, skills and personal qualities – form the foundation of our Leadership Framework and Behaviours of Effective Leaders. These are the core elements that we believe enable a leader to perform to a high standard in their role and, the actions they must take to continually improve their school or context to drive school improvement. In addition, these elements contribute to a shared understanding and common language for leadership and how it is successfully enacted in schools. This in turn can guide the recruitment and selection of new leaders in schools, the design and delivery of professional learning and other development opportunities for leaders and aspiring leaders in schools, and the self-assessment and reflection that leaders undertake as they strive to continually improve. Archdiocese of Canberra and Goulburn, Catholic Education Office (undated) Leadership Framework for School Leaders. Association of Washington Student Leaders (undated) Leadership Framework. Australian Council for Education Leadership (undated) Leadership Capability Framework. Baltimore City Schools (2013) School Leader Rubric. British Columbia (2013) Leadership Standards for Principals and Vice-Principals in British Columbia. Catholic Education Commission, Victoria (undated) Leadership Standards Framework. Dempster, N. (undated) Leadership for Learning: Connecting Research and Practice. Presentation to the Association of Independent Schools, NSW. Denver Public Schools (2013 and 2017) School Leadership Framework. 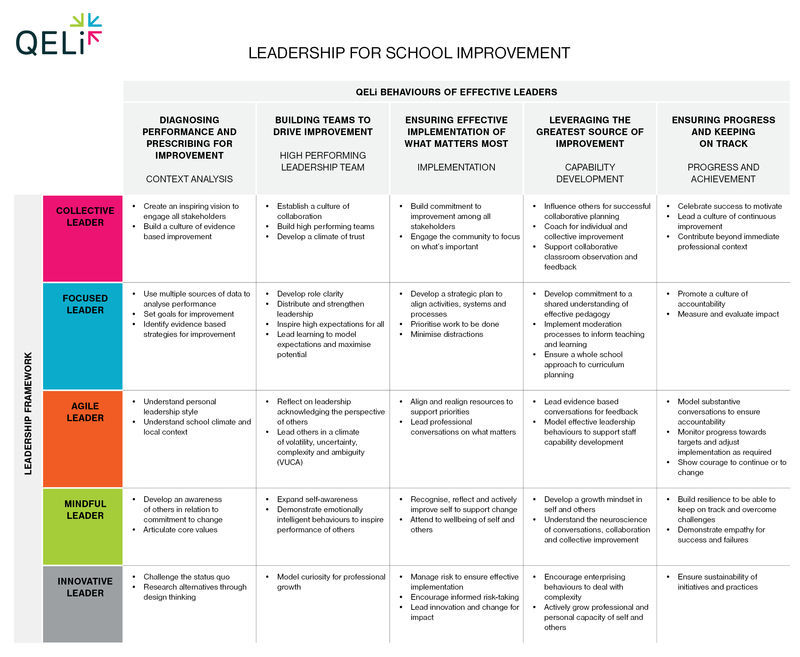 EduGains Ontario (undated) School-level Leadership Framework. Hallinger, P. (2007) Research on the practice of instructional and transformational leadership: Retrospect and prospect, ACER Research Conference. Hong Kong Principals’ Institute (December 2013) Principals’ Capability Framework. Hudson (March 2017) The Future of Leadership. Leithwood, K, Day, C., Sammons, P., Harris, A. & Hopkins, D. (2006) Seven strong claims about successful school leadership, National College of School Leadership, UK. Leithwood, K., Harris, A. & Strauss, T. (2010) Leading School Turnaround: How successful leaders transform low-performing schools, Jossey-Bass, San Francisco. Maryland State Board of Education (February 2005) Maryland Instructional Leadership Framework. NSW Department of Education and Training (undated) School Leadership Capability Framework. Pennsylvania Department of Education (2013) Framework for Leadership. Professional Learning & Leadership Development, Los Angeles (2016-2017) LAUSD School Leadership Framework. Robinson, V. (2007) The Impact of Leadership on Student Outcomes: Making Sense of the Evidence, ACER Research Conference. Singapore Ministry of Education (2014) Leader Growth Model. Sullivan, P. & Associates, for the Matthew Goniwie School of Leadership and Governance (August 2013) School Leadership Development Framework for the Gauteng Department of Education. Syracuse City School District (June 2013) Building Leadership Framework. The Institute for Education Leadership, Ontario (September 2013) The Ontario Leadership Framework. Zbar, V., Kimber, R. & Marshall, G. (February 2009) Schools that achieve extraordinary success: How some disadvantaged Victorian schools ‘punch above their weight’, CSE Occasional Paper, Number 109, Melbourne. Zbar, V. (September 2013) Generating whole school improvement: The stages of sustained success, Occasional Paper Number 132, CSE, Melbourne.